The North American International Auto Show in Detroit – usurped in many ways by the Los Angeles show in November and the CES (Consumer Electronics Show) in early January – will be moving to a late spring date starting in 2020. This year, while some automakers are skipping the show, others are using the last January exposition to present new or refreshed models, including the Ford Explorer, Cadillac XT6 and Toyota Supra. Stay tuned to globedrive.com through Monday and Tuesday, press days at the show. Members of the media look at the General Motors 2020 Cadillac XT6 SUV after it was revealed at the North American International Auto show in Detroit on Jan. 13, 2019. The three-row XT6 adds a larger model to the SUV line that already includes the XT4 and XT5. The XT6 is larger than the XT5 and smaller than the gargantuan Escalade. The engine, a 3.6-litre V6-generating 310 horsepower, is paired with a nine-speed automatic transmission. 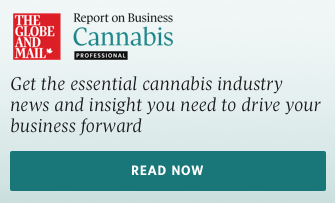 There are 10 standard safety features, and 10 more offered as options. In addition to the base model, there will be Premium Luxury and Sport models, the former distinguished by wood decor, while the Sport gets carbon fibre trim. A Bose Performance Series sound system features 14 speakers. Other features include a heated steering wheel, an in-vehicle air ionizer, heated/ventilated front seats, heated second-row rear outboard seats, and leather seats. Access is always an important consumer concern with three-row SUVs. The XT6 has a power-folding third-row seat and remote fold-down feature for the second-row seat. A tip/pitch-and-slide feature on the second-row seat allows easy access to the third row. 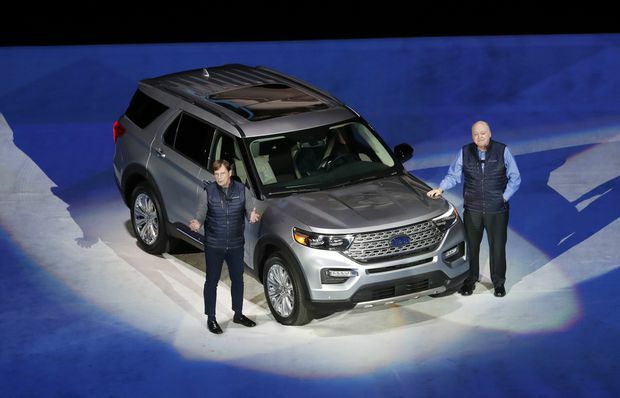 Ford Motor Co. president for global markets Jim Farley, left, and president and CEO Jim Hackett stand next to the redesigned 2020 Ford Explorer. Last reworked for the 2011 model year, the Explorer gets a top-to-bottom update that includes a switch from front- to rear-wheel-drive, as well as updated engines and transmissions, some nice standard safety features and even high-performance and gas-electric hybrid versions. The switch to rear drive will boost towing capacity and off-road performance, Ford says. Engineers say the new version is more efficient because it’s 90 kilograms lighter than the old model due to more use of aluminum and high-strength steel. The base engine is an updated turbocharged 2.3-litre four-cylinder with 300 horsepower. There’s also a 365 horsepower 3-litre turbocharged V6. And for the first time in six years, Ford is offering a gas-electric hybrid SUV with the new Explorer. The 2020 Toyota Supra is unveiled during an event at the North American International Auto Show in Detroit on Jan. 13, 2019. As Globe Drive correspondent Matt Bubbers reported, the rear-wheel-drive Supra is re-emerging for the first time since production of the sports car stopped in 2002. Developed in partnership with BMW, and sharing a chassis with the German automaker’s Z4, the Supra gets a turbocharged 3.0-litre straight-six and possibly a 2.0-litre four-cylinder engine, an eight-speed automatic transmission (no manual), 50-50 weight distribution, integrated spoiler, and more than 300 horsepower. Toyota’s other sports car is the 86. Here is Globe Drive correspondent Brendan McAleer’s comparison of the 86 with the Mazda MX-5 RF.